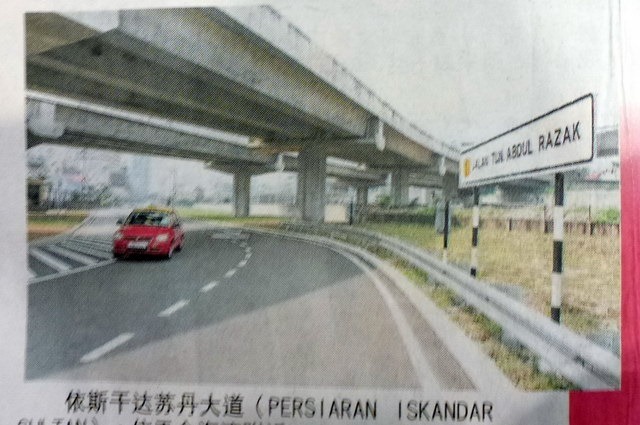 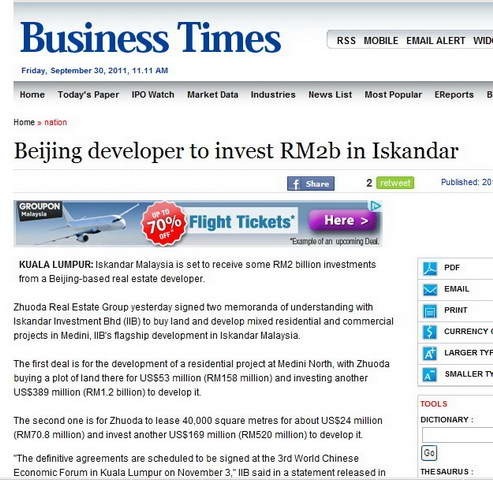 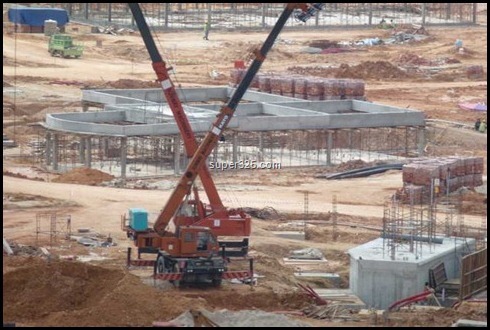 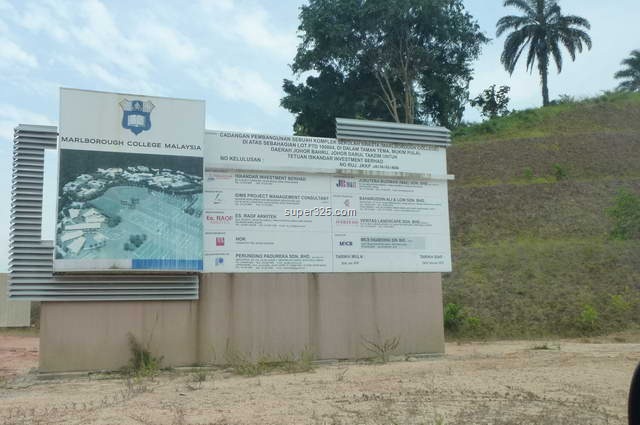 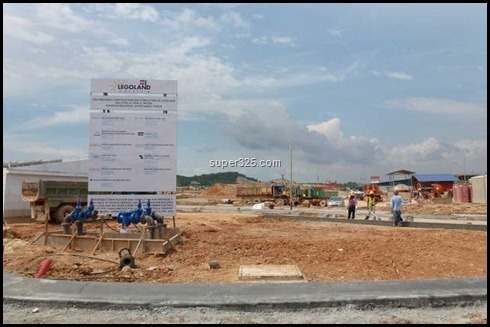 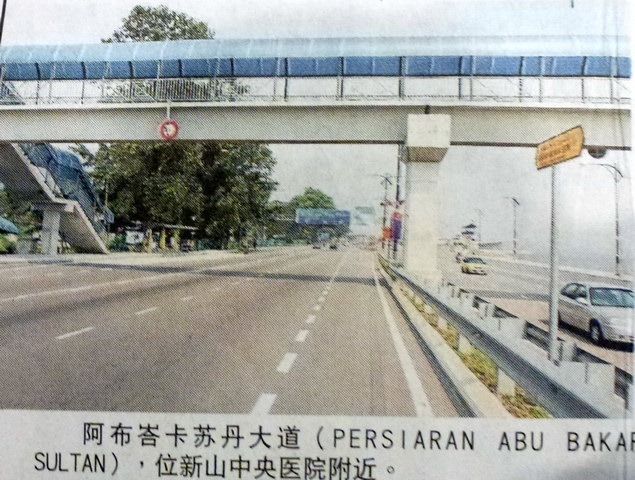 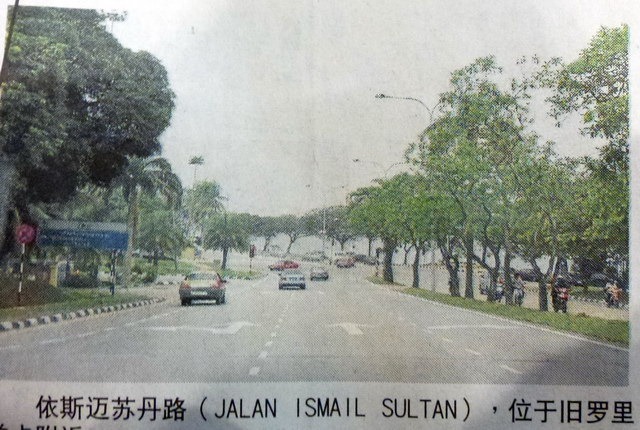 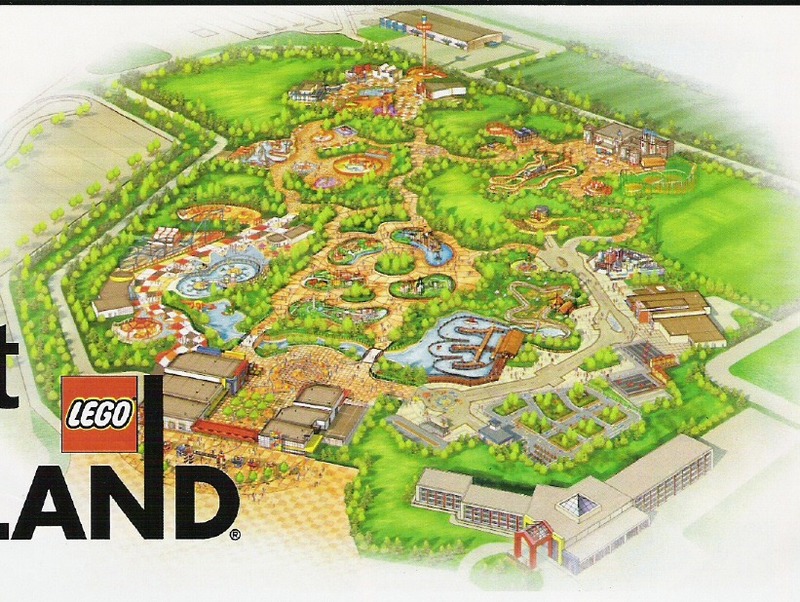 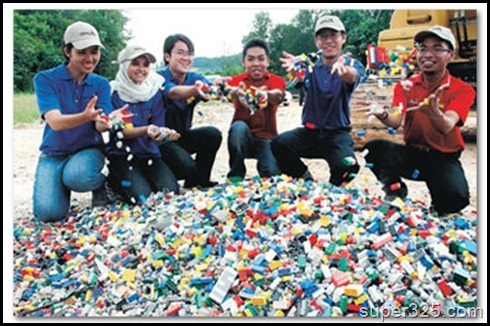 24 Sept’11: Iskandar Malaysia is set to receive some RM2 billion investments from a Beijing-based real estate developer. 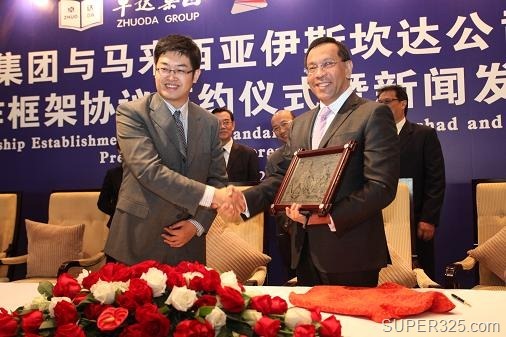 Zhuoda Real Estate Group yesterday signed two memoranda of understanding with Iskandar Investment Bhd (IIB) to buy land and develop mixed residential and commercial projects in Medini, IIB’s flagship development in Iskandar Malaysia. 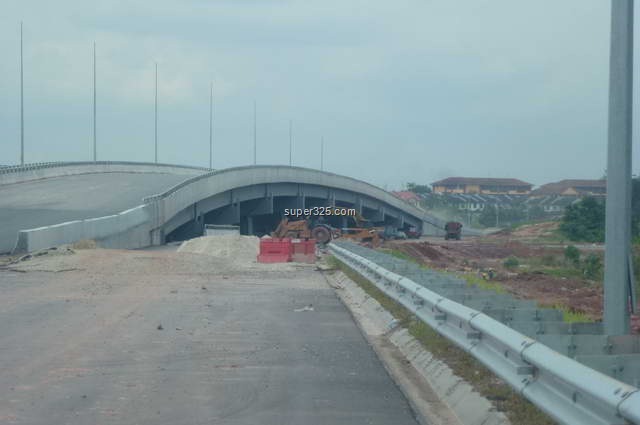 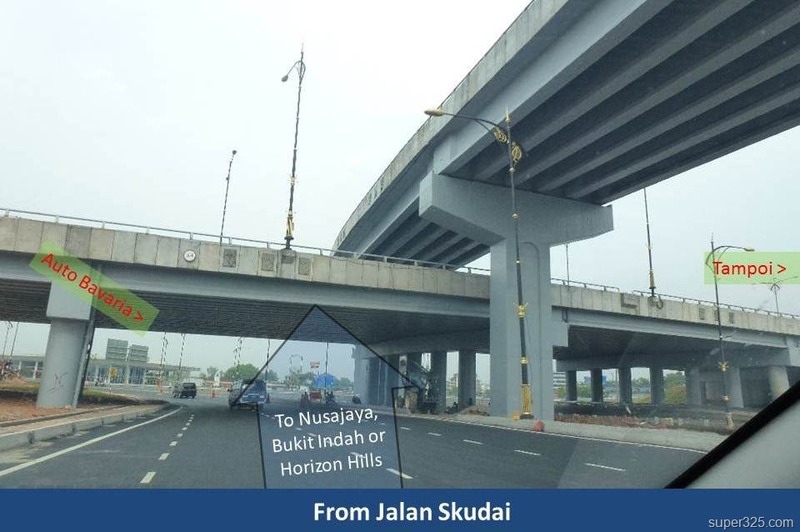 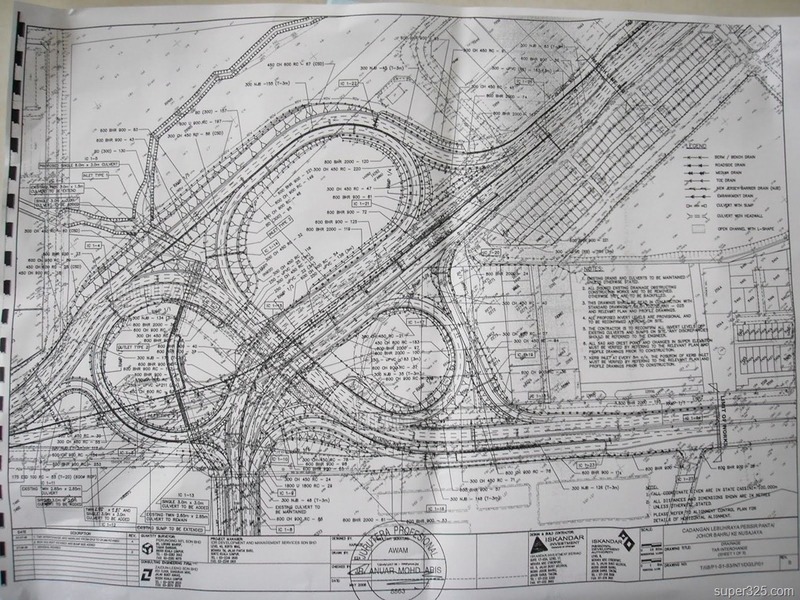 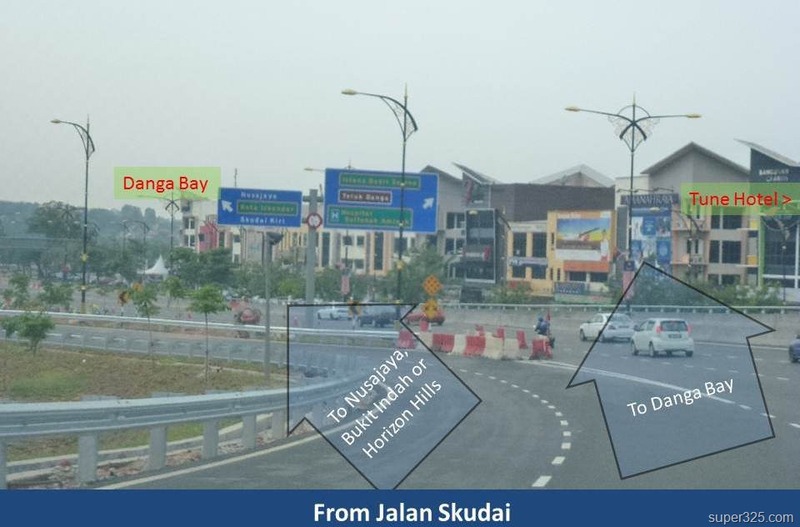 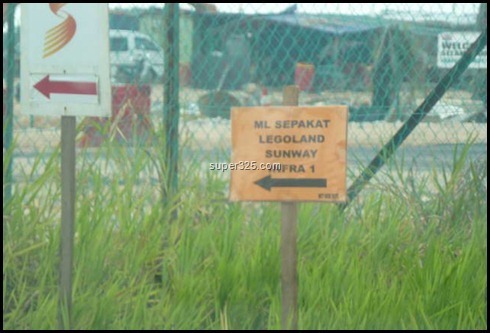 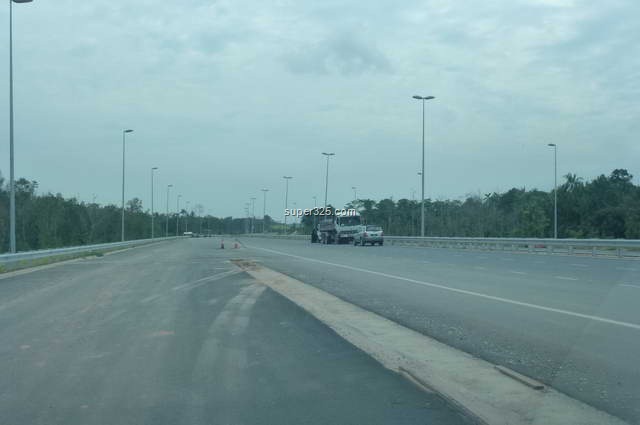 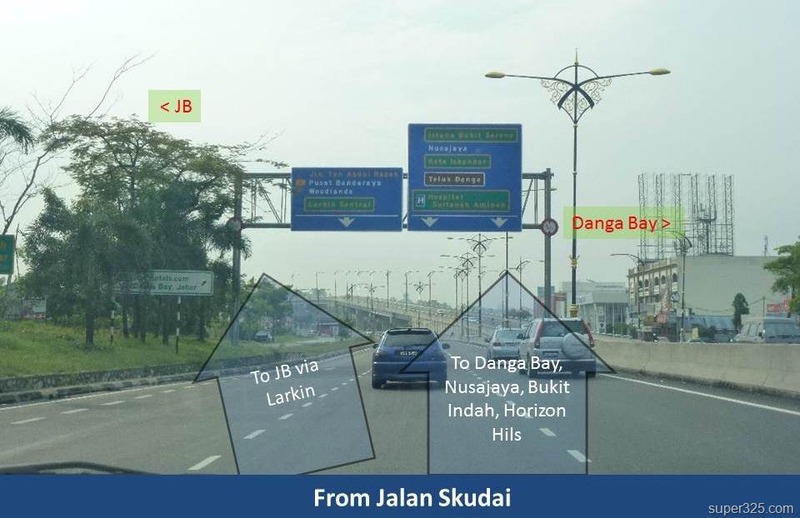 The ongoing Danga Bay Interchange and Coastal Highway has been given a name. 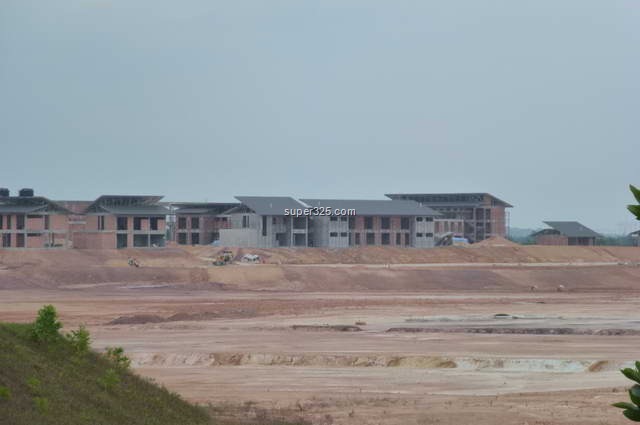 Update project about Educity at Iskandar Malaysia. 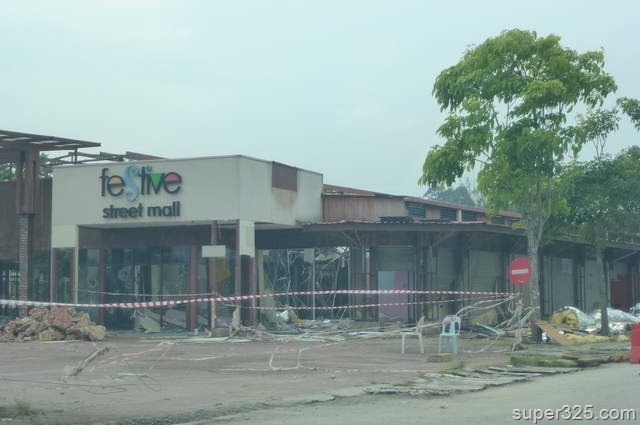 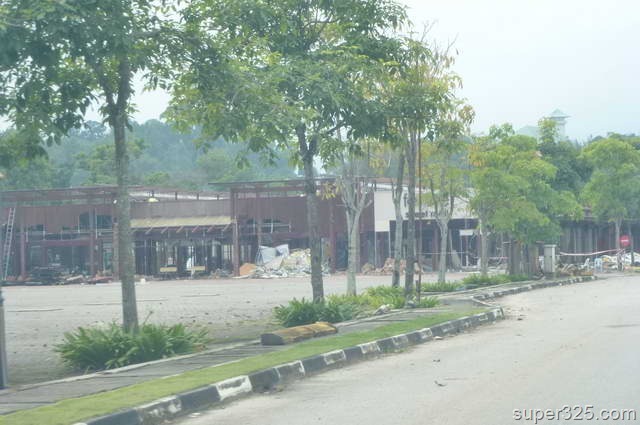 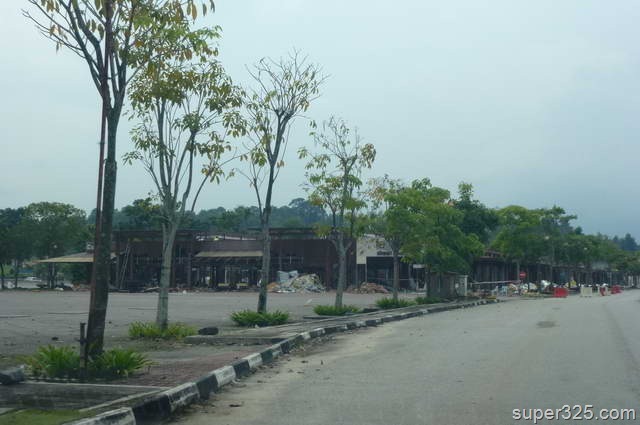 Dijaya Group is taking over the Danga Festive Street Mall, the new shopping mall is coming up. 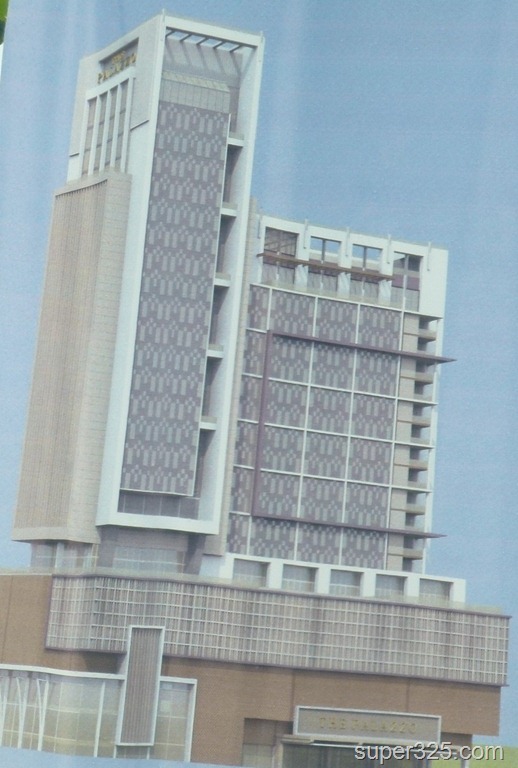 Details to be shared here at super325.com soon.